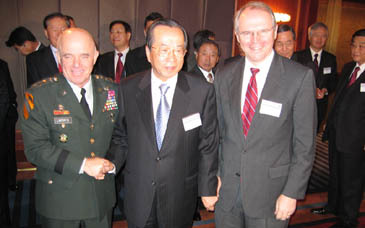 KITA Chairman Kim Jae-Chul (right) poses with US Amb. 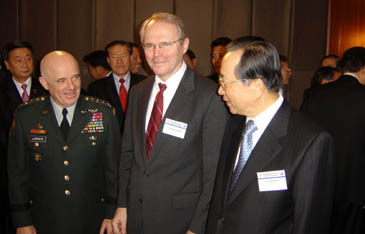 Christopher Hill (center), and Gen. Leon J. LaPorte, commander of the US Forces Korea (USFK) at the reception Jan. 11, 2005. 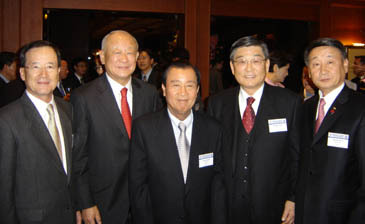 Kim Jae-Chul, chairman and CEO of Korean International Trade Association (KITA) hosted a New Year's gathering Jan. 11, 2004 for bolstering personal exchanges and cooperation between the US and South Korea. 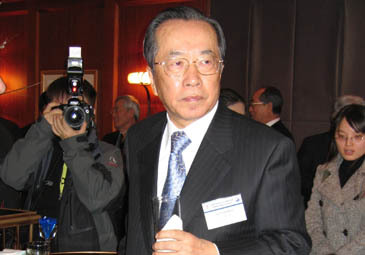 Some 50 Korean guests included former Prime Minister Lee Hong-Koo, Commerce, Industry and Energy Minister Lee Hee-bum, Korean Chamber of Commerce & Industry (KCCI) Chairman Park Yong-Sung. 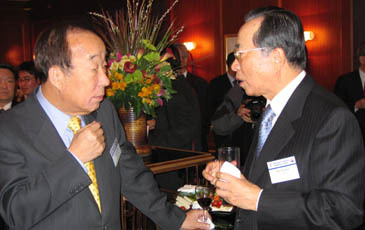 Park is also the chairman of Doosan Heavy Industries. 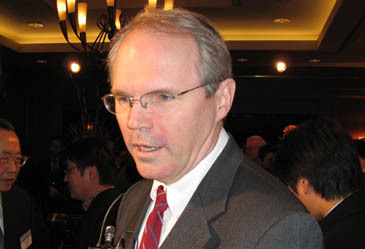 About 30 dignitaries from the US side included US Amb. 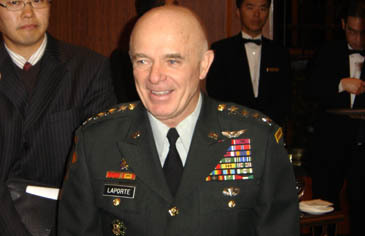 Christopher Hill, Gen. Leon J. LaPorte, commander of the US Forces Korea (USFK), Gen. Charles C. Campbell, commander of 8th US Army (EUSA), Jeffrey D. Jones former president of the American Chamber of Commerce in Korea. 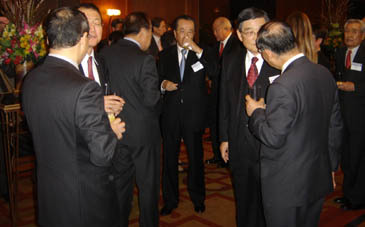 Chairman Koo Ja-Hong of LG Cable was also present along with many other top business leaders. 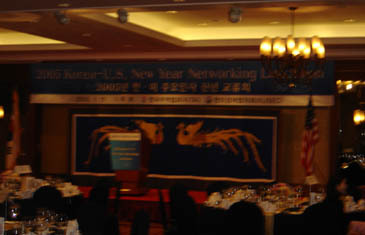 The reception started at 11:40 a.m. and lunch at 12:30 p.m. at Gukhwa (Chrysanthemum) Room on the second floor of the Grand Inter-Continental Hotel near Samsung Subway station in Seoul's Gangnam area. 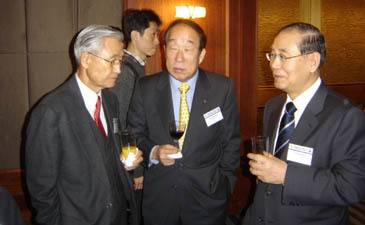 KCCI Chairman Park Yong-Sung (center) talks with Park Geun, former South Korean ambassador to United Nations (left) at the reception.